Cosmetic treatment with a liposomal formulation to increase lip volume, fill wrinkles in the lip contour, and hydrate and outline the lips. Lips are firmer, more voluminous, smoother and better defined. 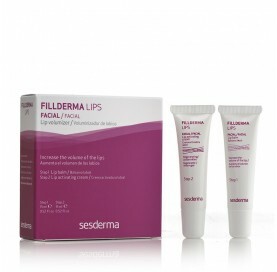 Fillderma lips moisturizes, softens and protects lips from external aggressions.